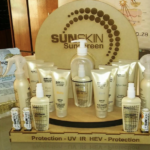 Protects against UVA, UVB, High Energy Blue Light (HEV), Infra-Red (IR-A). UVA-Rays penetrate into the deepr layers of the skin (the dermis) damages and ageing the skin with an increased risk of skin cancer. UVB-Rays penetrate the epidermis and cause redness, pain, skin damage, skin spots and ultimately skin cancer. 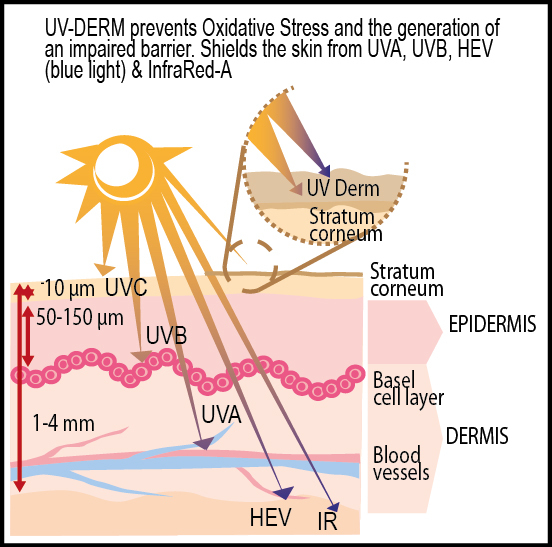 HEV-Light induces inflammation in the skin by oxidative damage. IR-A-Rays damage existing collagen in the skin and reduce the production of new collagen which leads to wrinkles and ageing.